Do you think that you’d be open to doing something that would really “help” your knee pain, and wouldn’t cost you an arm and a leg? If you answered “YES” to those questions – – keep reading. 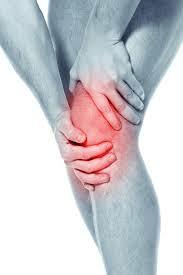 Imagine what you’d be able to do if you didn’t have knee pain? Imagine how you’d feel without any knee pain holding you back? Listen… there are a lot of people that suffer from knee pain and all they THINK they can do about it is take medication or have surgery. What if there was a unique technique that could help you get rid of your on- going, constant knee pain … without you having to use drugs or have any type of surgery. If you answered “YES” to that question, keep reading. I’m Dr. Curtis McKay, DC and I’ve been a local doctor in the Raleigh area, and in that time I’ve seen all kinds of knee pain. Sometimes it’s a young boy who’s been playing football and torn his ACL ligament. But if it’s not that type of sport athletic injury, then it ‘boils down’ to about three or four things. Now I know you don’t care what causes it, you just want it FIXED. And I get that. But do you think in your wildest dreams that taking drugs is curing anything having to do with your knee pain? NO, it doesn’t. If you’ve ever had any knee pain, that bothers you no matter what you do, or what you take, you need to contact me ASAP. Michelle was a woman who was 60 years old, lived with her friend in town, had a good job, was getting ready to retire and travel, and had high hopes of spending a lot of time playing with her six grandchildren. Then it seemed like out of no where she developed this quirky knee pain. When she was at home on her computer, her knee would ache. When she was standing for longer than a few minutes her knee would throb. She thought it’d just go away, but it didn’t. It just got worse. Then she called the office. Within a few weeks, she was back to normal. “My knee started out hurting for a few hours at a time, and then it just got progressively worse. I tried lots of doctors and was on three different types of mediations. I started having other issues and all I could tell was my health was getting worse and worse. I saw Dr. McKay and he did an exam and told me he thought he could help. Thank goodness I called. Michelle S.
There are only five of these exam slots available so please don’t wait. Your knee pain depends on you getting this KNEE EXAM today. © 2015 .Capitalphysicalmedicine. All Rights Received. | Web Design and SEO provided by Best Edge SEO Inc.